Silicone is called the latest technology in roof coatings. On paper, it sounds great: it lasts a long time and can even resist ponding water. 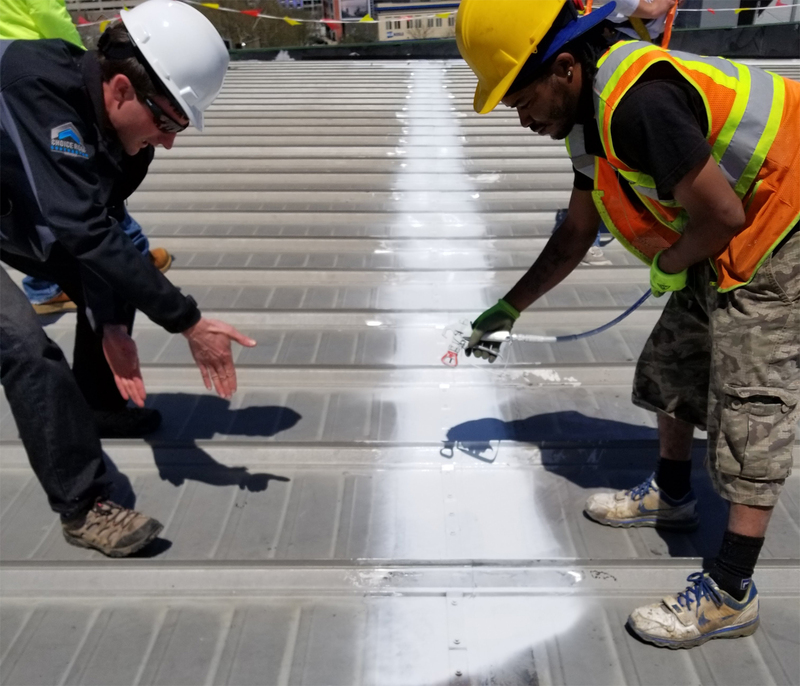 While silicone does have some advantages, it’s important to know the whole story before you have a silicone coating applied to your roof. 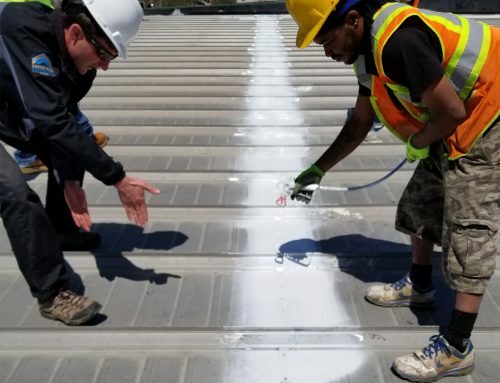 What many facility owners do not realize is that once silicone is applied to a roof, nothing else can ever be applied over it. Adhesion to silicone is very difficult so in the future, only silicone-based coatings can be applied over an existing silicone coated roof. You will never have the option to switch to acrylic or other options. Once you apply silicone, you are committed to performing repairs and maintenance in silicone. 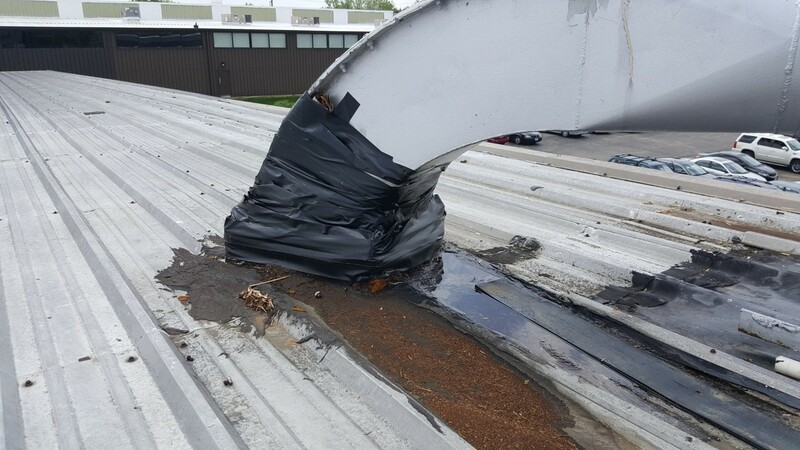 While this may be acceptable to you, it’s worth considering that you will be stuck with the same product unless you are willing to re-roof. 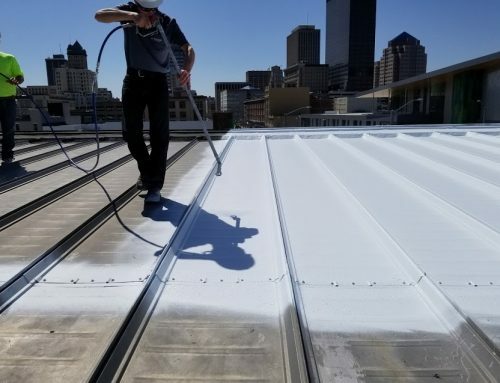 When a silicone roof coating is applied, it will create harmful, noxious odors. The silicone will have a very strong odor until it dries completely. This is an important consideration for hospitals, hotels, restaurants, and other commercial properties. Many silicone coatings also require a harsh solvent like xylene to clean equipment. Acrylic is the more environmentally friendly solution. Acrylic coatings are water-based with a lower toxicity. This makes acrylic easier to work with without harmful fumes or dangerous solvents. Your roof shouldn’t pose a hazard when someone needs to walk on it for maintenance or repairs. A major problem with a silicone system is it will be extremely dangerous to walk on when wet, even when granules are added to create some slip resistance. 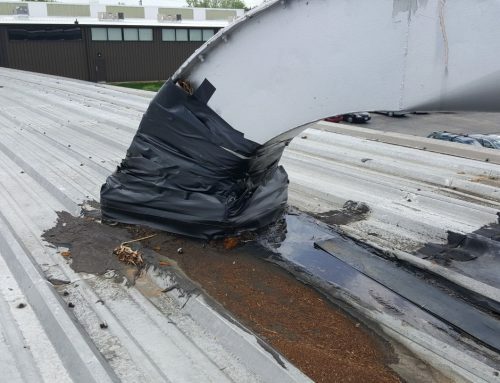 A highly slippery roof can be a source of liability as a facility owner. The main selling point of silicone is it can stand up to standing water. This is definitely true as silicone can withstand even ponding water conditions on the roof without leaking. Still, consider that ponding usually accounts for just 10% of the roof surface. You shouldn’t choose a roof system that addresses a specific issue on a small surface area. Instead, remember that ponding water is an issue itself that should be corrected. Don’t choose a roof coating that withstands the problem; address the problem itself first. Another drawback to silicone systems is they tear and crack easily. This is why they are often installed with fabric for strength and stability. Acrylic is durable enough to use on its own without roof fabric. Acrylic roof coatings will not peel, crack, and tear quickly like silicone. 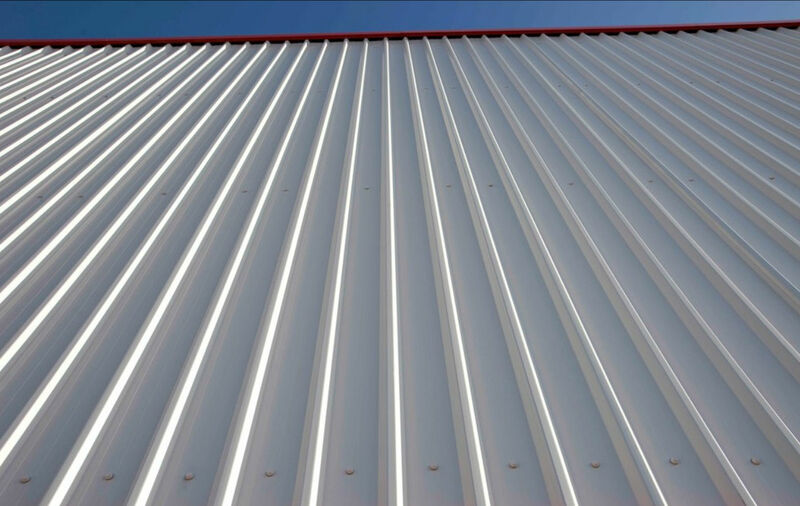 Acrylic offers the ultimate in versatility as it can be applied to any roof in any climate and offer excellent protection year-round. Silicone tends to get dirty and lose up to half its reflectivity quickly. Many silicone systems discolor over time as they allow roof tar to bleed through. Acrylic, on the other hand, stays white and highly reflective to reduce your energy costs. 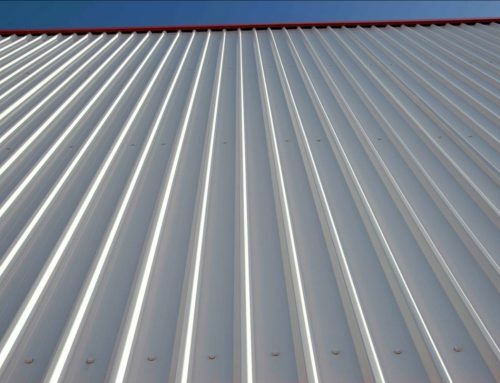 While acrylic roof coatings are usually white to achieve the best reflectivity rate to cool your building, they can also be tinted to meet your aesthetic requirements. Solvent-based coatings like silicone tend to last longer than acrylic but they are more difficult to maintain and more expensive to install. Acrylic offers a lower life-cycle cost as it’s cheaper to install, easier to maintain, and easy to re-coat. When acrylic does reach the end of its life, it simply needs to be washed off before a new coating can be applied. Silicone coatings must be completely removed before a new coating is applied. 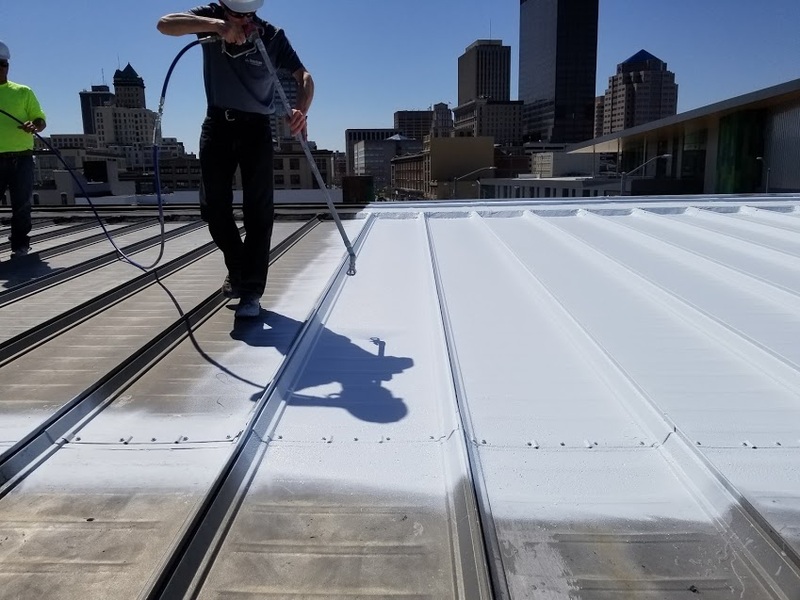 While silicone roof coatings certainly have their benefits, acrylic tends to win out for most facility owners. Acrylic is a low cost, eco-friendly, and low-maintenance solution that gives you a safe, long-term solution to protecting your roof.